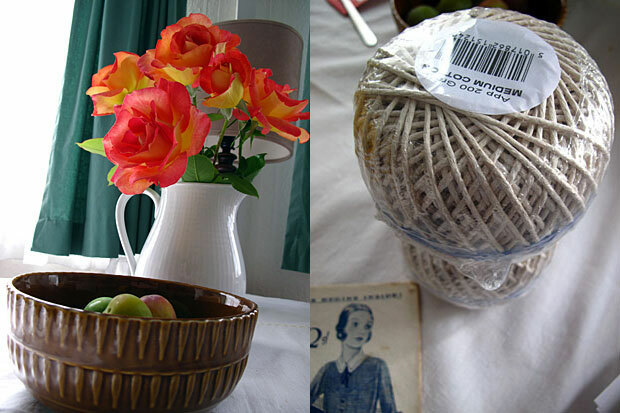 Last weeks bargains, cotton twine from the local hardware store and the Womans Weekly magazine from the antique market in town. 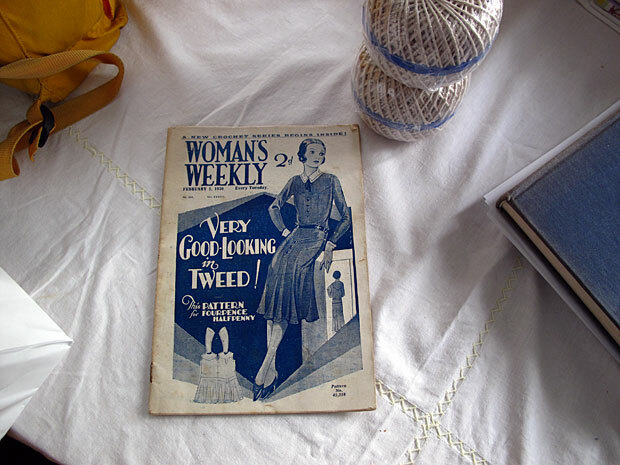 Gosh it was really in with fine crocheting in the 1930s. I like the look of some irish crochet but don't think I am cut out for it. Don't have the patience. Having said that take away the computer and the telly maybe I would.